Liberty Colored High School was erected in 1937 with assistance from the Works Progress Administration. The brick building with large well-lighted classrooms and an auditorium replaced an earlier frame building that had burned. 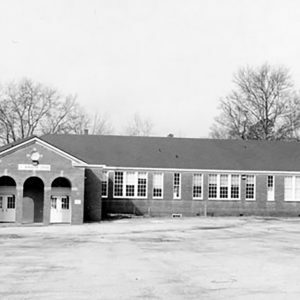 By the 1940s, Liberty Colored High School was one of two high schools for black students in the county and served Liberty, Norris, Central, Clemson, and rural areas in between. The disparities inherent in segregated education, however, continued to put black students at a disadvantage. The limited funds provided by state government were supplemented by donations from parents and the community.